One hundred years ago, February 1917 coincided with a renewed focus on the value of engineering works for employment and industrial image in the region. The detail of the Ford project was progressing. In addition, in the first week of the local press, Passage West and its ship building industry came under scrutiny when its docks complex was purchased by the shipping magnate Messrs Furness, Withy & Co, Ltd. This was an enormous global firm, which provided the city and region an extra bargaining chip to the Westminster government on why the Ford complex should be sanctioned in Cork. Indeed, by the end of 1917, some 800 workers were employed at Passage West and Rushbrooke. Passage West and Rushbrooke Docks were built by Henry Brown and William Craig, and were formally opened by Queen Victoria on her visit to Passage West in 1832, and the two dry Docks were named respectively the Royal Victoria Dock and Albert Twin Dock. The town of Passage West flourished and prospered because of the large amount of employment given in the consultation and repair of ships. 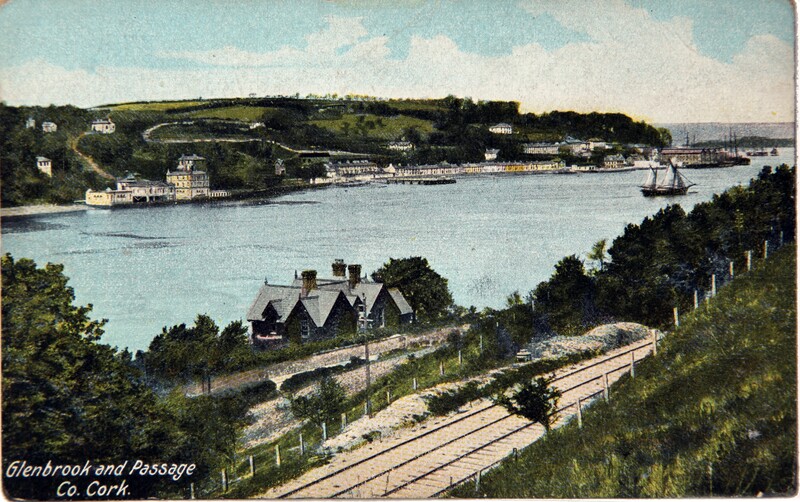 Serving the town was the Cork, Blackrock and Passage Railway, which was opened from Cork to Passage in 1850, and extended to Crosshaven in 1904. It was 16 miles long and served the important shipbuilding centre at Passage West, the well-known residential district of Monkstown, the rich agricultural area around Carrigaline, and the famous seaside resort of Crosshaven. The Rushbrooke Dock was built by the late Joseph Wheeler in 1860. He was an extensive shipbuilder in Cork, where he built many sailing ships for local and other owners. The rapid growth of other shipyards to cope with the advancing types of ships in England and elsewhere affected Passage, and for some years a period of depression ensued. The fate of the docks and the town was a matter of anxiety. The facilities offered a fine waterway but lack of investment capital. 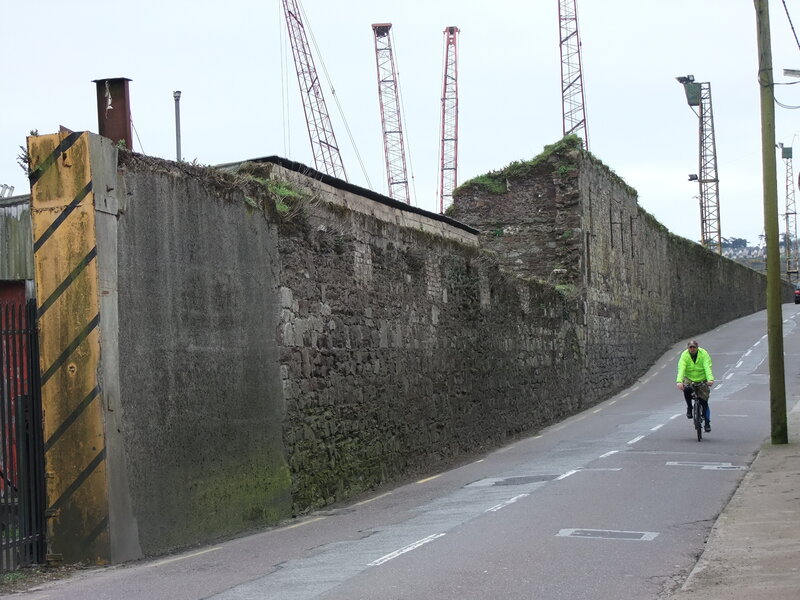 In 1880 the Passage West and Rushbrooke Docks passed into the hands of entrepreneur Sir John Arnott, from whom they were again subsequently purchased by the Channel Dry Docks Shipbuilding and Engineering Co, Ltd, in 1898. In 1900, there was talk of Harland and Wolfe coming to Monkstown and, although there was much enthusiasm for the project, it never materialised. In 1910, the Managing Director, Mr Oliver Piper, purchased the Docks himself. It was Oliver Piper who brought Winston Churchill, the First Lord of the Admiralty, on a guided tour of the Royal Victoria Dockyard when he came to view Cork Harbour in the summer of 1912. It was hoped that the visit would result in Admiralty work for the dockyard. When Furness & Withy purchased the site from Piper he continued to work them until March, 1917. He then went on to create the Queenstown Dry Docks firm, which pursued work for Furness & Withy. Mr Piper on 5 February 1917 in the Cork Examiner noted on the takeover of his firm; “the Docks have been acquired by the very important firm of ship-owners, Messrs Furness, Withy and Co, Ltd, of London. Liverpool and Hartlepool, whose phenomenal rise in such a few years to the very highest position in shipping is an indication of the ability and energy of its directors. They have been satisfied by their personal investigations and reports that the South of Ireland is virgin soil, and has potentialities of very great importance to a shipping corporation possessed of the ability, energy and immense resources that the purchasing company enjoy”. London’s National Maritime Museum denotes of the international reputation of Messrs Furness Withy & Co that it was was incorporated as a company in 1891 upon the amalgamation of Christopher Furness’ business in West Hartlepool and London with Edward Withy’s shipbuilding yard in Hartlepool. By 1914 the company had acquired interests all over the world in liner and tramp shipping and in shipbuilding, but from 1920 they concentrated on liner services. In 1911 Furness Withy acquired a large holding in Houlder Brothers and the company’s British & Argentine’s vessels were operated in association with those of the Houlder Line. In 1914 the Furness-Houlder Argentine Lines was incorporated for the purpose of building a fleet of large, fast twin-screw steamers for the conveyance of chilled and frozen meat from the River Plate to London in conjunction with the Royal Mail Steam Packet Co, Furness Withy and Houlder Brothers. There were other additions to the company. The Prince Line was purchased in 1916 and with this services were developed to the Mediterranean and from New York to the Far East and the River Plate. The River Syndicate was incorporated in 1920 to acquire a controlling interest in the Danube shipping which had formerly belonged to South German, Austrian and Hungarian companies. In the late 1920s and early 1930s the company sold of several of its non-profiting shipyards of which Passage West Docks was one. In 1931, the site of the Royal Victoria Dockyard was purchased by a new company, Haulbowline Industries Ltd (HIL). The Harbour Board supported the HIL shipbreaking venture by decreasing tonnage dues on metal from scrapped ships. The company still focusses in the trade of scrap iron and today, some loading and unloading of cargo is also completed at the dockyard.